Showing results for tags 'metropolitan police service'. These are the poorly remembered chronicles of policing with the Metropolitan Police Service (MPS) in South London. I'm a special (MSC) who flits between Response and SNTs, and at the time of writing - currently in the process to become a PC. Some aspects (names, locations etc) will be changed to protect the privacy of all parties involved. I might sometimes expand on what certain things mean for the benefit of those who don't know - so apologies to those that do know! Health, Mental Health and Robbery! Rank: MSC Shift: Response 0700 - 1500 0700 - Briefing and admin. I'm posted to an IRV (Incident Response Vehicle) with two PCs who I've worked with before and we all get on well - good start! IRVs are normally 2-up on my borough but I wasn't IPS (Independent Patrol Status - the 'ability' to be on your own basically) at the time, so we were 3-up. Non-IPS MSC will never get posted as operators (pushing buttons and using the radio) on an IRV, on my borough anyway. Although, I have been an IRV operator before becoming IPS. Don't tell the church elders. 0730 - First job. S grade (1 hour response time). Reports from residents of a lorry parked on a narrow residential road, blocking vehicles wanting to turn into a junction. Ladies and Gentlemen this is the absolute sharp end of policing. We drive over and politely ask the driver to park somewhere roomier. 0745 - Another S call. Man seen standing in the road wearing a hospital gown and shouting at people. We make our way in terrible rush hour traffic - driver decides to go on blues given the nature of the call. Arrived there in a few minutes, had a drive around, no trace of this gentlemen. Bit odd as it wouldn't be hard to spot! Still searching for this chap when… 0750 - I grade (15 minutes response time) now. 13 year old male locked himself in the bathroom, threatened suicide and now his parents are not getting a response from him. We're very close so call up for it, as do two other units. LAS (London Ambulance Service) are en route as well. We nearly have a PolCol (police collision) on the way thanks to a driver oblivious to the blue lights and sirens, cue internal shouting and swearing in the car. We’re first on scene to find dad and step-mum very worried. Our driver starts shouting the boy’s name through the door – no response. He says if he doesn’t come out he’ll have to put the door through. Nothing. No point wasting time now – he gives the door a 50% kick (to give the lad a chance to come out without damaging the door!). A voice can be heard now from inside the bathroom. “Alright, alright I’m coming out”. The boy walks out with a towel wrapped round him, looks like he was just having a shower! He doesn’t look particularly distressed and I think the general feeling among us that point was that he wasting everyone’s time. Sirens can be heard outside – more units are arriving. LAS arrive too. We call them all in so he can understand the implications of his actions. However, we can’t actually jump to conclusions so we start some digging. I take step-mum and dad into another room whilst my colleagues and the LAS speak to the boy. Turns out this is the son of a well-known female on the borough. An alcoholic who is frequently the cause for domestic calls to come in due to the fights she has with various short-term partners. It turns out that due to his family history, this young lad is understandably unstable mentally but it’s just difficult for him to show it because of his age. There might have been a time years and years ago when mental health was far less understood and the boy might have been told to “man up”. But I’m glad we did the digging. I took some contact details down in my pocketbook. I went into the other room where my colleagues were talking to the boy, clearly about the same things. We all then sort of had a “group discussion” – police, LAS, boy, step-mum and dad! It seemed to help and to young lad appreciated that we cared. I asked him if he had any idea what he wanted to be when he grew up and he said he wouldn’t mind trying the police out. My colleague suggested the police cadets as a good place to start out and gave him the name of the Sgt who runs the cadets on our borough. The boy was in better spirits but the LAS still elected to take him to hospital so off they went, with dad going with him. After the boy got in the ambulance dad turned around and briskly walked back towards us and said “I just wanted to say that my opinion of the police is a lot higher now thanks to you all” and shook the hands of all six officers who attended. It’s nice when people say things like that and it’s just a shame that the taxpayer doesn’t get to hear the good things we do. 0830 – Back on patrol we headed down the main road back towards where we came from earlier (the last I call was on the very edge of our ground). Wait a sec. Who’s that?! There he is! The hospital gown man! He does exist! We swing road and park up to this hugely obese male in a hospital gown, hospital slippers and the carrier bag full of high percentage cheap lager. We ask him if he’s ok and he says very angrily “I’m fine and your mates have already stopped me”. My colleague gets on the radio to see if this is correct whilst the operator and I keep talking to him. We ask him why he’s standing here (it was directly outside a charity shop) and he said he was waiting the for the charity shop to open so he can buy some clothes. He’s very verbally aggressive and reminded me of that big blob from Star Wars. We were very polite and I said “we’re just worried about you mate. If we see someone in hospital clothes who isn’t in hospital –it’s our job to be concerned!” He’s not having any of it. My colleague gets off the radio; turns out another unit has already spoken to him prior to our arrival (probably when we were speaking to the boy with our radios turned down) and the previous unit were satisfied with their interaction with him. My colleague asked “don’t take this the wrong way but do you have any mental health issues?” The man shouted “YES OF COURSE I’VE GOT MENTAL HEALTH ISSUES.” We ask for his details, he doesn’t want to give any to us. Not much more else we can do apart from wish him a good day and be on our merry way. We didn’t get any more calls about him that day so it seems he bought his clothes and went on his way. 0845 – Back on patrol. S grade. Call has come in from someone stating that a part of building on the high street is going to fall down onto the pavement below. We’ll take that! It’s on the way back to nick and it’s fry-up time. On the way we protested to the CAD operator (control room person) on the radio that this should be a LFB (London Fire Brigade) job as we’re not trained to analyse the structural integrity of buildings... CAD operator said he couldn’t agree more and was going to try and shove it their way. He did eventually manage to do so but we had a brief look on the way to the nick and could see that it looked a little crumbly, but how are we supposed to know whether that’s bad or not?! Fortunately, LFB were going to get out of bed and come and have a look. Just kidding Trumpton, love you really! 0900 – Cheap and greasy fry up for breakfast. 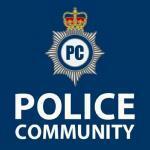 0945 – Back out on patrol. The operator had a meeting to attend to, so took I the front seat for a while. 1020- I grade. Call from LAS, person trapped behind closed doors. The location was a bit out of the way but we get there very quick thanks to my superb navigation (Google Maps) skills. A chap in a block of flats had fallen over and activated his emergency alarm. Thankfully, he was conscious and breathing and talking to the LAS through the letter box. We ask for an enforcer (big red key) to be brought over in case the door needs to be put through. It’s a modern well-built door, even the strongest of officers wouldn’t be able to get through it with just kicking. We asked about windows (ground floor flat) and the LAS said they tried them to no avail. We double check just in case and lo and behold we managed to find a way in through the window thanks the casualty leaving one of them unlocked. Door open, LAS in. Done. 1040 - Back to the nick to pick up the other PC after his meeting. 1100 – Once we pick him up in the yard, we find that we have been assigned to a misper (missing person) job. The vast majority of mispers on my borough (and I suspect most of the country) consist of under 18s who leave a place of care, adults with mental health conditions who leave a place of care or elderly people with deteriorating mental health who leave their care homes. This misper didn’t fall into any of those categories and so was a bit different. This job had come a county force adjoining our own. This male’s boss (in the counties) called police to report that the misper hadn’t turned up to work and has been unable to get hold of him. The boss called the misper’s (we’ll call him Tom Smith) girlfriend, who lives on our borough and Tom is believed to living with her. The girlfriend also hadn’t seen him and was about to report him to the police as well. The manager of the company was mostly concerned about the company van which was still in Tom’s possession! From the bosses conversation with Tom’s girlfriend – it appears he went out in the evening to top up one of those keys for electricity, and never returned. I got a description for Tom – IC1 (white) male, 5’10”. Short shaven light brown hair, pale skin, blue eyes. 29 years old. However, whilst on the phone to Tom’s boss, word came over the radio that the county force will now take over the investigation. Ok…why did it come to us in the first place then? Sigh. I told Tom’s boss that the county force are now dealing and he should expect a call from them soon. 1120 – We call up control to tell them we’re now free to deal with something thanks to the misper CAD being bosched. We get an S graded, burglary to report. Off we go. We pull out of the nick when we see a lad leaning against the fence which runs along the road where the nick is. He looks a bit shifty but he also looks a bit familiar... We stop the car and I notice he’s got 2-3 fresh cuts going along his neck that look a lot more purposeful than accidental. He’s looking down towards the ground very…vaguely and forlornly. His eyes were reddened as if he’d been crying. This chap is about 5’10” with pale skin, blue eyes and looks about 25-30. Sound familiar? We asked “what’s your name, mate?” “Tom Smith” he replied. To be continued when I actually have the time to write more.